(e.g. stacking 9 or 10 blocks, holding a pencil in the preferred hand with a tripod pencil grasp, copying a circle, may start to draw a head and one or two features and scissor skills (opening and closing hand action). 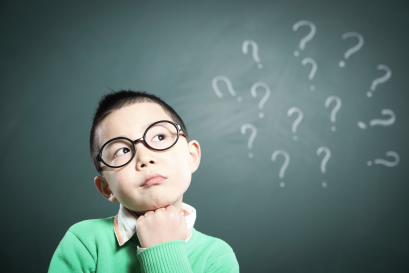 During this program we will focus on supporting your child to use questions including "What's this? ", Where's X?". We will also talk about the role of questions in book sharing and practise responding to questions such as "Who is...?" and "What is X doing?". 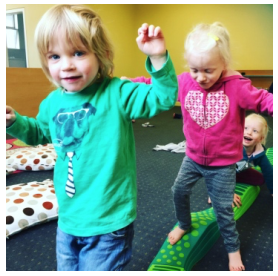 Associative play begins at this age and we will be supporting your child to seek out others. We focus on your child’s use of imagination, dress-up, pretend play, creative activities and the ability to start to understand emotions. We look that your child is being able to consistently use objects symbolically in play. Pictured: Sia with her oven mits for taking the eggs out of the oven!